Most data centers use almost as much non-computing or "overhead" energy (like cooling and power conversion) as they do in powering their servers. 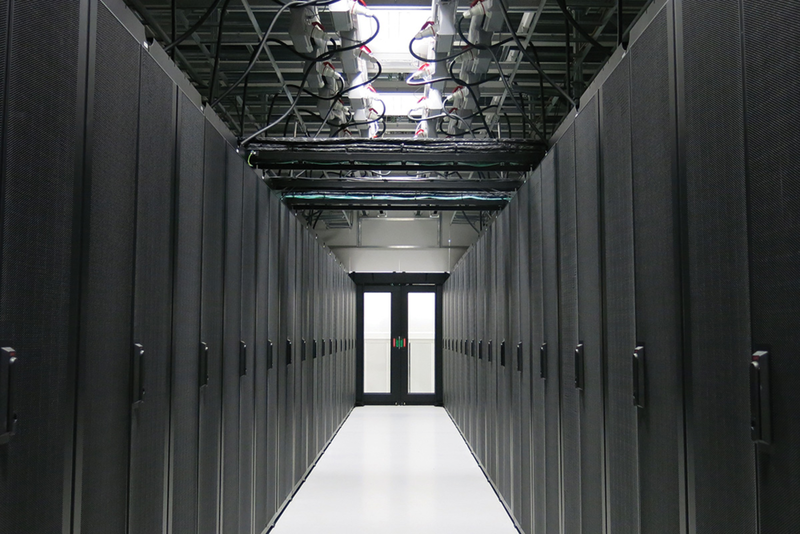 Whether you're running a small or large data center, you can apply several simple design choices to improve the efficiency of your facility, reduce costs, improve your equipment reliability and reduce your impact on the environment. One of the most cost effective strategies is through efficient air flow management. The major players in data center design have found that a little analysis can have big payoffs. Specifically, thermal modeling using Computational Fluid Dynamics (CFD) can help quickly characterize and optimize air flow for your facility without having to reorganize your computing room. These efforts help to reduce the total amount of energy used for cooling. At the same time, they ensure that the cooler air sent into the cold aisles is truly cool enough to do its job, increasing reliability and uptime. The render below is from a CFD simulation of an existing "hot-aisle, cold-aisle" server room arrangement. The video to the right demonstrates how the typical "hot-aisle, cold-aisle" arrangement can suffer from cooling air maldistributions. First, using standard 50% open perforated tiles, more than 75% of the cooling air is delivered to the rear of the aisle, starving those servers within the first half of the aisle of cool air. Second, most of the cooling air heads straight for the ceiling, bypassing the server intakes entirely and exiting directly to the air conditioning (CRAC) intake. Lastly, hot exhaust air is seen to recirculate to the intakes of servers through spaces between and under servers, as well as over the tops of the server racks. With appropriate, low cost countermeasures these effects were eliminated almost entirely allowing the operator to raise cooling air temperatures by 5C while also lowering maximum server temperatures. The ROI of the project was estimated at less than 2 years due to energy cost savings realized.